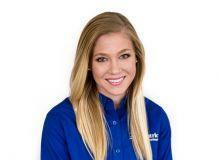 Ariana joins our team with both a master’s degree in occupational therapy and a bachelor’s degree in exercise physiology from the University of Mary in Bismarck. Ariana has experience in a variety of areas including outpatient pediatrics and early intervention, geriatrics at a skilled nursing facility, and as a behavior interventionist for children with autism. Ariana is especially passionate about working with her patients on sensory integration, handwriting, feeding, and social skills. She enjoys helping those with developmental delays and neurological disorders as well.